Every year I get approaches from big international companies who want to buy the whole of Econet from me. Some of these offers are usually very generous in their valuations. From a business principle, there is nothing wrong with such approaches. It happens all the time around the world. There is only one reason I would never sell, and that is because we do not yet have enough high profile multinationals built by Africans, to which young Africans can look to and say to themselves, “yes we can.. we Africans are able to build enterprises which can operate in the global environment!” For the next stage of Africa’s unstoppable march to prosperity this is very important. Can you imagine Japan without its own Toyotas, or America without Coca Cola? What makes you think Africans do not also want to look up and see large African enterprises? 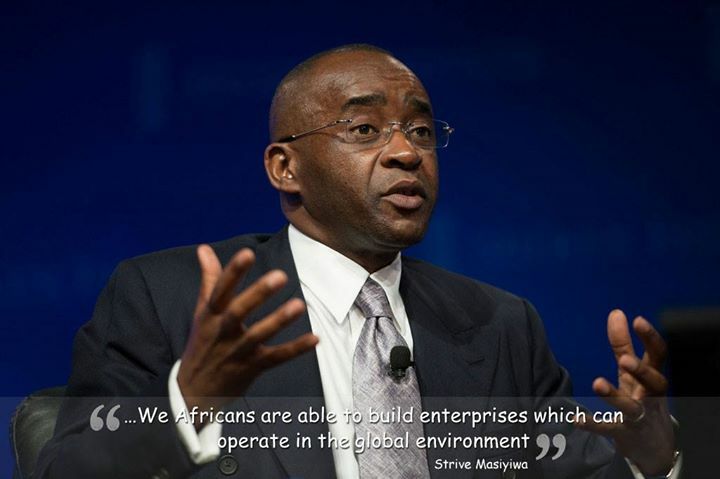 Companies like Econet are there as a beacon to a new generation of African enterprise builders who have dreams to build global companies that will also create wealth for their continent. Over the next decade, African companies like us will mushroom all over the continent and become global champions; and they will not just be from South Africa, you will see them come from A to Z: Angola to Zimbabwe. There will be global multinationals, in my life time that will come from Malawi, Liberia, and Rwanda. And these companies will operate with the highest standards of ethics, even better than the best of the best today. Even as I am talking young Africans, are beginning to do it; they are thinking big, and without limitations. what about Ethiopia!? the Holy BIBLE says ETHIOPIA will stretch her hands unto GOD!!! Ethiopia is also included, I said Angola, which starts with A, and Zimbabwe, which is starts with Z. Ethiopia, and every other country is included, since Ethiopia, starts with “E”. Ethiopia is an amazing country, and every African must visit that country, in their life time. Some of the smartest people, I have ever met in my life come from Ethiopia. Ethiopians must also visit other African countries, and also enjoy what they offer. In the time of the great prophets of the Old Testament, like Isaiah, the borders of Ethiopia, were not the current, modern borders. In those days, it was really representative of all black people. So when you see Ethiopia, in the bible, and you are from Nigeria, don’t worry, it includes you, and me too! I have prepared a series of related posts, in which I share with you insights on how I raised money in my early days. For some of you, it is the beginning of what the bible calls, “Deep calling to deep”. Its time to pay serious attention. Remember,what I said at the beginning, I will only be sending these posts for a season, then, I will stop.